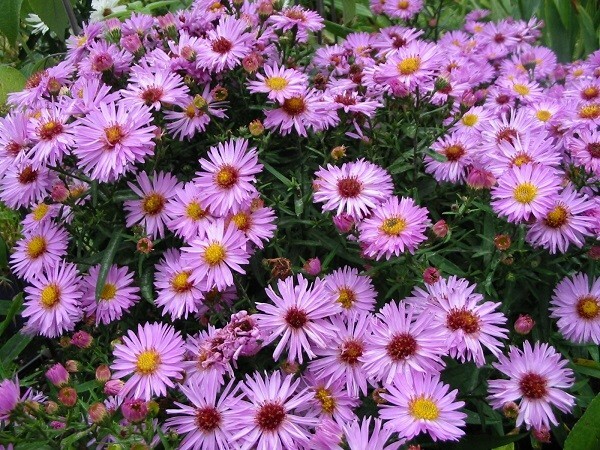 , Aster lateriflorus 'Coombe Fishacre' ' is an erect, clump-forming perennial with lance-shaped, toothed dark green leaves and, from midsummer to mid-autumn, pink-flushed, white flowers with pink to yellow-brown centres. 1.35m. 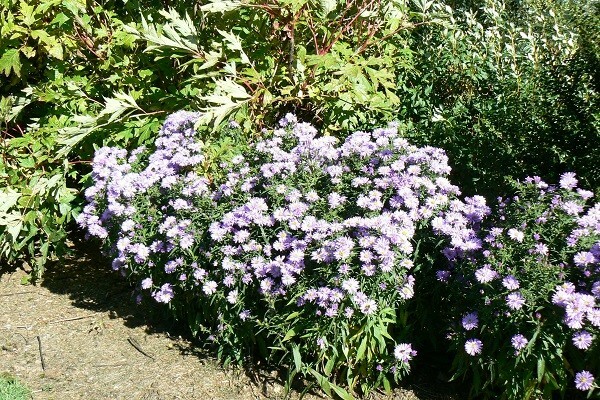 Large single late flowering lavender-blue flowers in strong sprays that make a great spire. 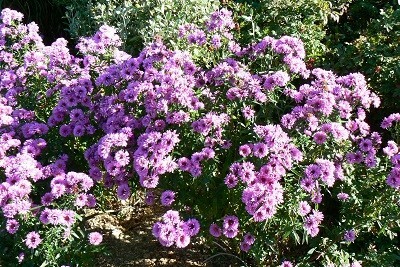 Ideal in the border and for cutting. 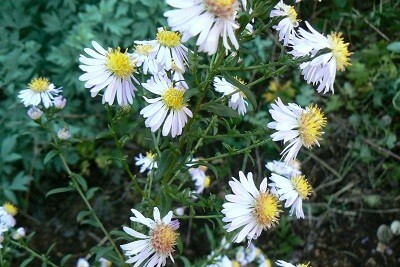 The flowers have a pale yellow disc. 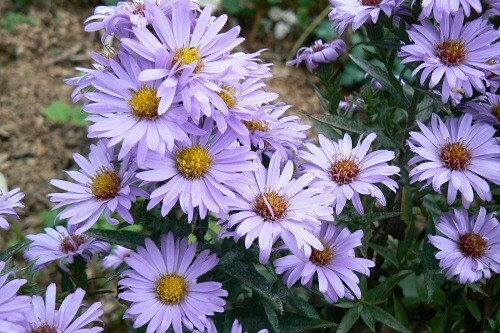 One of the oldest cultivars. 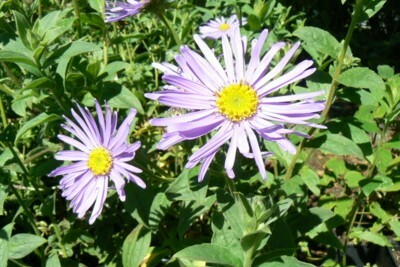 40cm, violet-blue flowers. Medium-late season(Feb-Apr) Good front of the border. 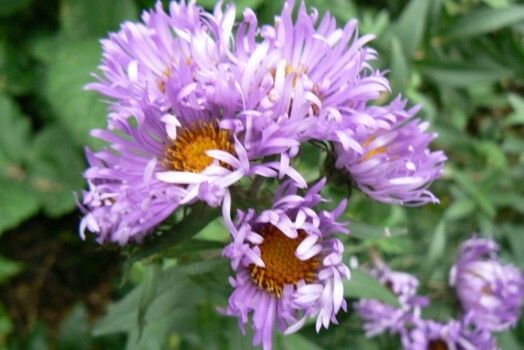 Low growing New York aster approx. 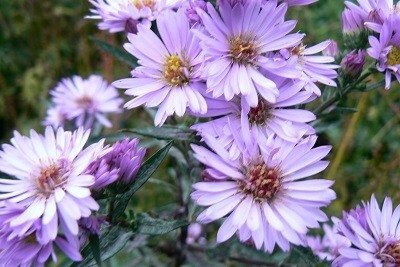 40cm wit a mass of Violet flowers summer-autumn. Full sun. 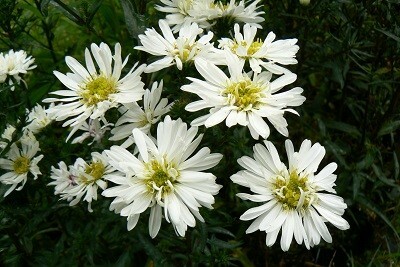 50cm Clean white flowers, full sun to semi-shade with moist rich soil. 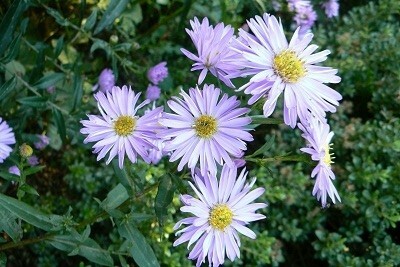 30-40cm Sprays of lavender blue flowers late summer to autumn . 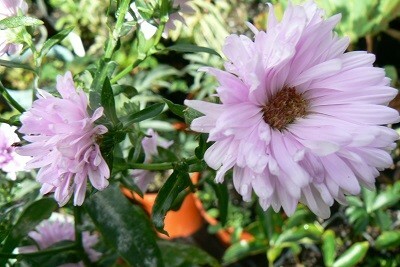 A nice compact grower. 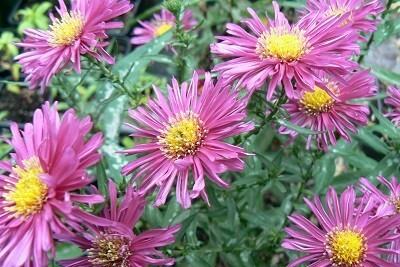 Low growing 40cm with bright purple-red flowers. Soon makes a nice clump. 90 x 60cm late summer/autumn. 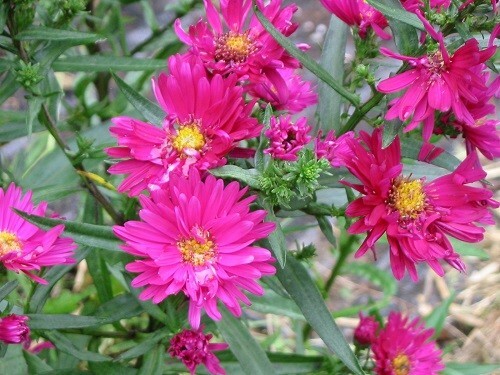 Clear pink flowers ranging from semi-double to double and held in small clusters on upright stems of deep green foliage. Divide every 3years or so. 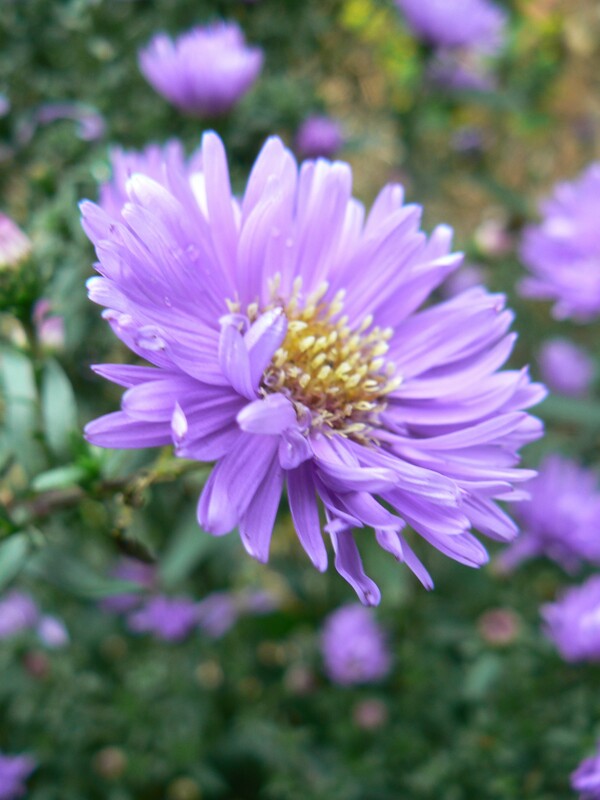 Aster novi-belgii 'Marie Ballard' n.v.
1m. 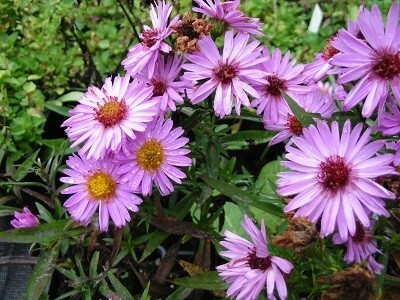 This plant came to us as Marie Ballard but it differs from other descriptions. 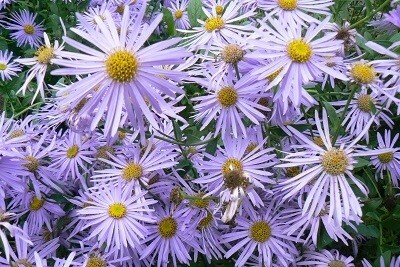 Mostly semi double flowers and the odd fully double in a lovely soft blue.